The new Club OS enhanced email builder will be released system-wide September 27th. To celebrate, we’re spotlighting all of the amazing new email marketing tools this feature update includes in a two-part blog series. If you haven’t read it yet, check out part one here! Already read it? Then let’s dive into nine more cool things you can do with the enhanced email builder! Chances are you don’t have a professional photographer, or even a front desk staffer with a nice camera, to provide you appealing and content-specific photos for your marketing campaigns. Don’t worry! We’ve got you covered. Access over 500,000 free stock images directly through the email builder. Simply search by keyword, select the perfect photo, and insert it into your email. Take advantage of the incredibly high response rates text message communication receives. 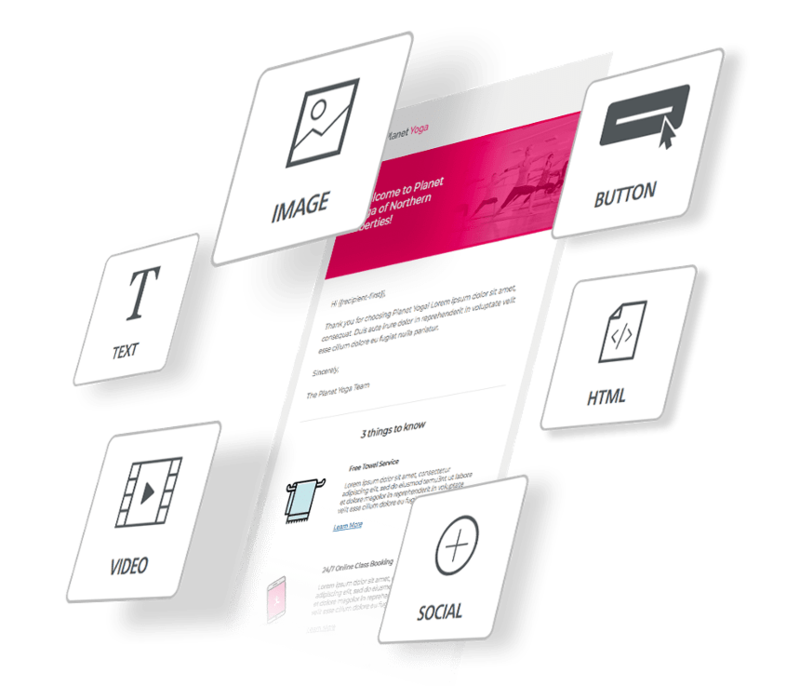 Enable click-to-text functionality in your email’s buttons and images. Link your club’s SMS number to an in-email button or image, and when it is clicked the recipient will be rerouted to their text message menu with the club’s number pre-populated. Of course, this functionality is designed specifically for emails viewed through mobile devices. Please note, click-to-text functionality is not currently supported by Gmail. Avoid wasting time in third-party image editor sites by editing your email images directly within the email builder. Choose from twenty image editing tools including text overly, blemish removal, filters, cropping, lightening, and so much more. Traditionally, emails are designed and built vertically by stacking images and text on top of one another. Bust up boring design structures with our Rows menu. Six prebuilt rows enable you to divide and design emails horizontally. 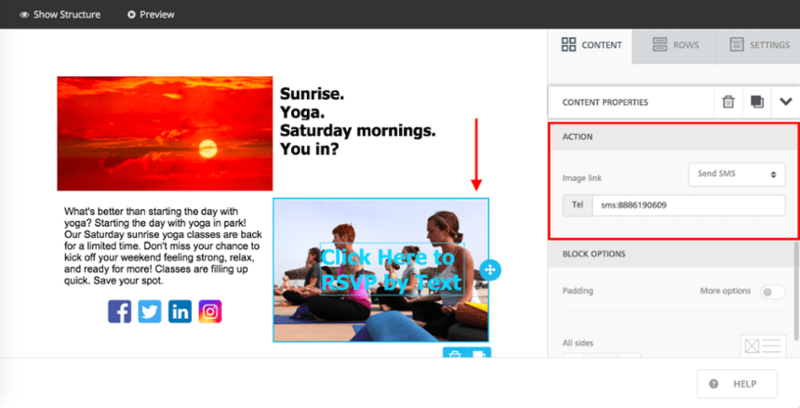 Insert email text directly next to a corresponding image or add your club’s social links next to a video preview of your fitness vlog to boost social followers. The layout of content rows can vary between desktop and mobile versions of your email, so be sure to preview both versions of your email before sending out the campaign. Ready to build better emails or just want a closer look? Click here to schedule a demo to preview the email builder! 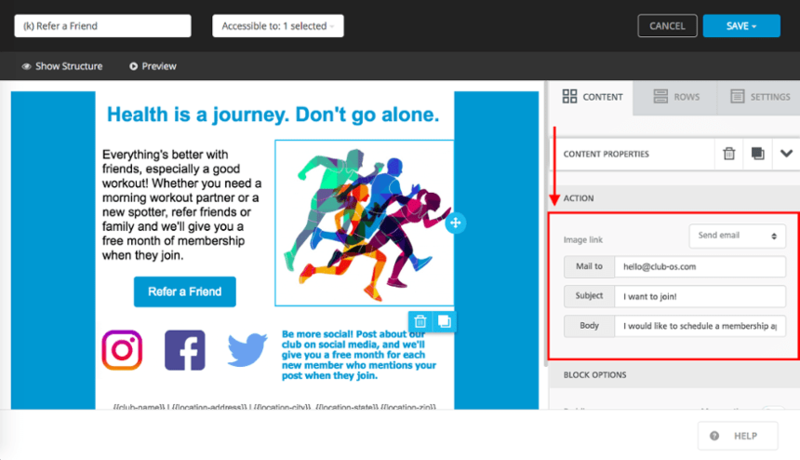 Link email addresses to buttons or images within the email to enable click-to-email functionality. When the recipient clicks the button or image, a new email window will automatically open with the attached email addressed pre-populated in the send field. Pre-fill both the email subject line and body with content to make it as easy as possible for recipients to send you a quick message taking advantage of promos. Spice up your email campaigns by adding a background color. This means that behind your email content, you can add your brand’s colors, accent colors, and more. We recommend keeping it simple so that the email doesn’t become too busy. Segmentation is a proven marketing tool for delivering the right message to the right audience. 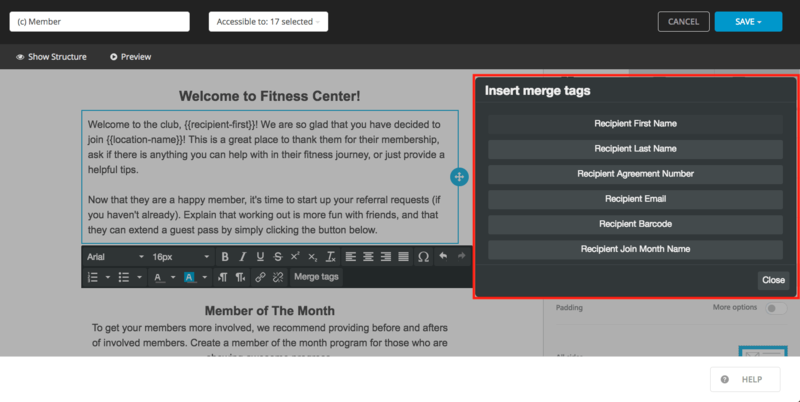 Segment recipient lists by the statuses members and prospects are automatically assigned in Club OS, such as web lead, referral, inactive member, etc. For example, create an automatic “Welcome” email automated to send once a prospect’s status changes to “member” in Club OS. Less manual work for you, better communication for your members. 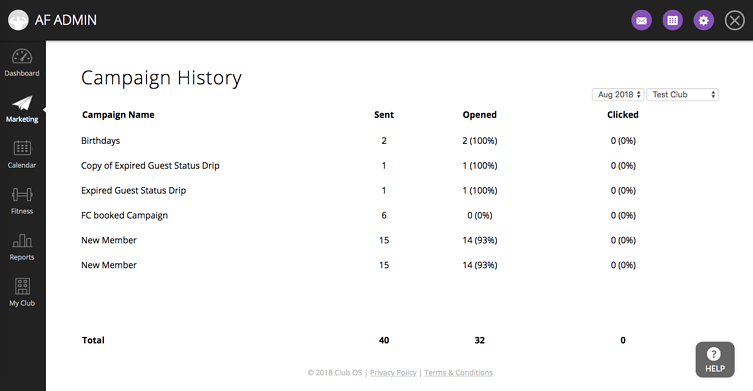 After you send an email campaign, view and analyze its success with Club OS reports. Club OS features reporting for individual email campaigns as well as a campaign history page with the collective data for all campaigns during a given month. 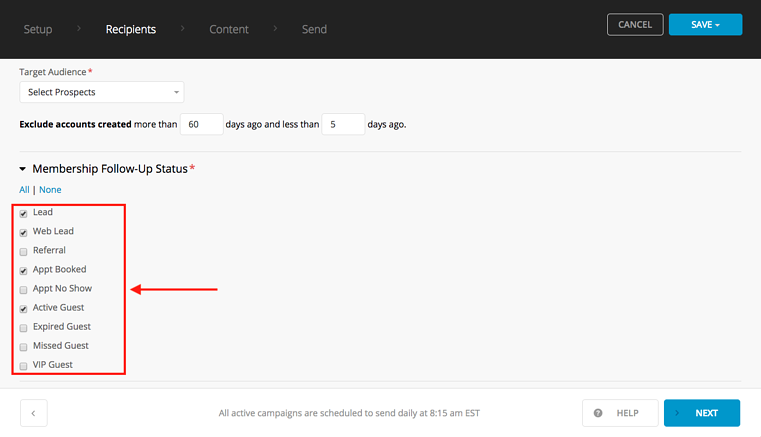 Track open, click, and unsubscribe rates while keeping an eye on failed and bounced emails. A dynamic view of your campaign results empowers you to make informed changes to continually improve your email marketing.